Automatic Forex trading is a resource for those who want to take advantage of all the opportunities that the currency market offers, but never go ahead of the PC 24 hours a day. However, this method is not risk-free and only Forex VPS can effectively neutralize them definitive. Different Web Hosting Solutions to Meet Every Need! You can host your website in a simple and easy to manage web hosting, with many interesting and useful features to keep your business always online and available to everyone. Cloud Hosting. CPanel & WHM Included! The Cloud Hosting solutions are equipped with the most widely used control panel in the world cPanel & WHM (Full License). Great for web sites that require a higher gear! Are you ready to drive your high-speed online projects? Through cPanel, you'll be able to manage your mail addresses, create databases, subdomains, backups and install hundreds of apps with one click and much more! We have the perfect hosting plan for your next website, app, or blog platform. All web hosting plans are carefully tailored. Look at the Premium features with domain, OptimizePlus and SSL certificate, all free for for a year. In addition, if you need to, add special features to make your website faster, more secure and cared for. Simplicity Sign in and launch your new website in minutes. The configuration and management of sites and files is incredibly easy with the customized control panel, clean and super-simple, which is called cPanel. Reliability We built our network of servers to easily handle peaks in traffic to the websites, with the increase in resources in the event of unexpected traffic. App with 1 Click Quickly and easily increase the installation of the most popular web applications such as WordPress, Drupal, ZenCart and more. You simply have to select the app, enter a few details and start surfing with your new website. Email Create and manage your email accounts. Advanced features include forwarding rules and filters for the account, IMAP and POP3 security, compatibility with third-party clients, anti-spam protection and a unique e-mail account per user. Free Migration We are ready to migrate your existing website quickly, seamlessly and free of charge to our web hosting plan. You do not have to do anything. Backup We automatically create daily, weekly and monthly backups for all accounts. 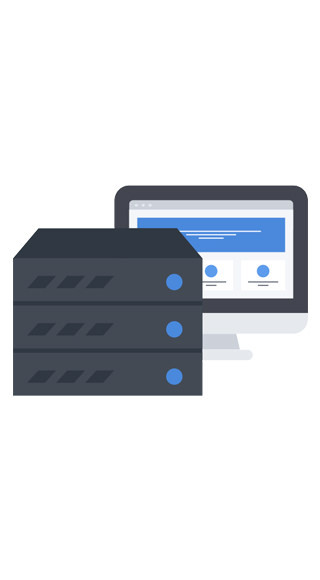 With the business and professional web hosting plans, you can manage your backup as you like, creating new ones, restoring files and databases whenever you want. Are you launching an online business? Then you need a protection for your web site. SSL Certificates protect sensitive data of your visitors against fraud or identity theft. When visitors see a SSL security seal they know that the site where they are browsing is safe. In the meanwhile, SiteLock provides security tools, malware detection and blacklist monitoring. GeoTrust is the second largest digital certificate provider with over 100,000 customers. Symantec is the leading provider of solutions for the security and reliability in Internet. Reviews and Feedback of Who Chose Us.